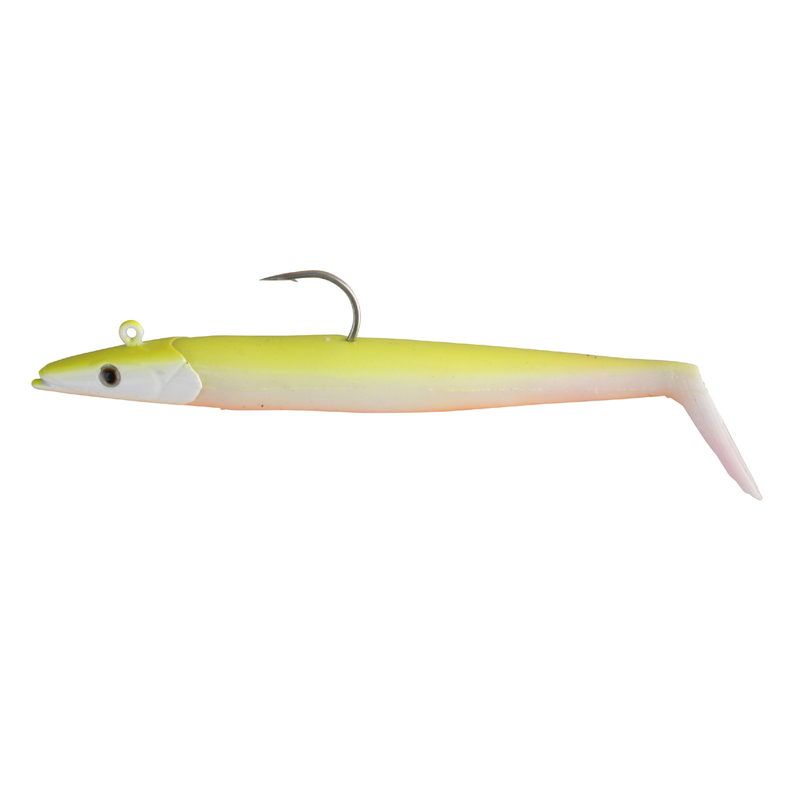 https://boddenangler.de/Savage-Gear-Saltwater-Sandeel SV-SA0000 Savage Gear Saltwater Sandeel https://boddenangler.de/media/image/product/31374/md/savage-gear-saltwater-sandeel.jpg 7.95 EUR InStock /salt water/Mad Shads This stunning and unique lure is a supernatural sandeel imitation. The Sandeel is the favourite snack of many predators. These soft-bodied lures have the most fantastic swimming action. The sandeel is Savage Gear?s first 100% saltwater specific lure, designed mainly for vertical fishing -but have also proved to be deadly as swimbaits and even for trolling. The swimming action is so real; you have to see it, to believe it! Top quality Japanese carbon steel saltwater grade hooks, to withstand brutal attacks and and big predators. Excellent Cod, Sea Bass, Coalfish or even smaller Halibut. This stunning and unique lure is a supernatural sandeel imitation. The Sandeel is the favourite snack of many predators. These soft-bodied lures have the most fantastic swimming action. The sandeel is Savage Gear?s first 100% saltwater specific lure, designed mainly for vertical fishing -but have also proved to be deadly as swimbaits and even for trolling.